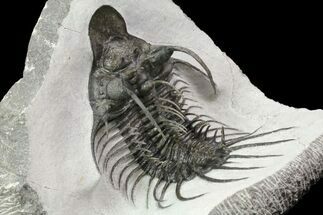 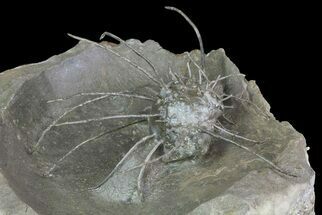 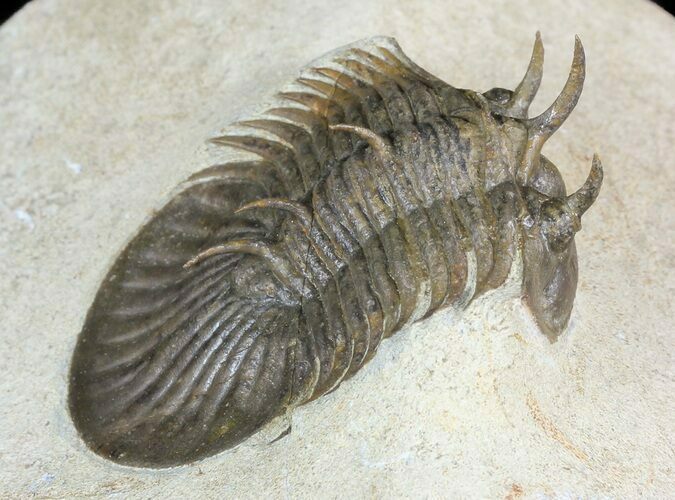 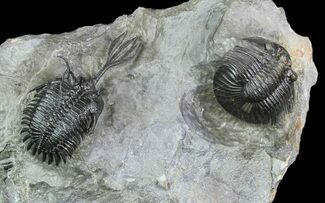 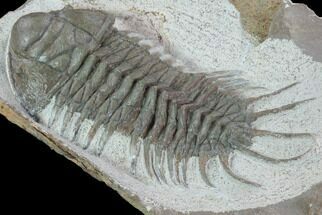 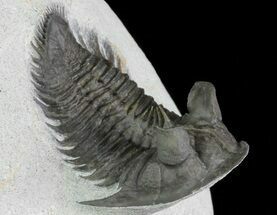 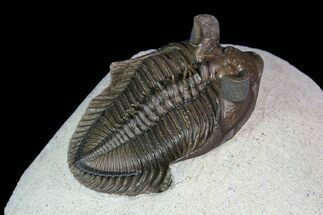 This is a very rare, undescribed Corynexochid trilobite with affinities to Bojoscutellum from the Timrhanhart Formation of Morocco. 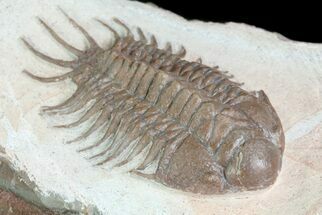 It's 1.8" long, with excellent preparation and absolutely NO RESTORATION. 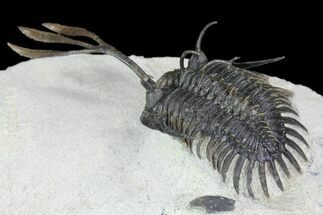 One of the very distinctive aspects of this species is the extremely robust occipital spine and spines over it's eyes. 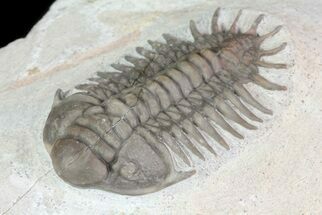 I've only seen a handful of specimens of this species.